Shoes made entirely of high quality leather, with a leather insole that follows the foot's anatomy and is enriched with ARNEFLEX BREATHABLE foamy antibacterial material. Andromeda shoes external lining is 100% special gold leather. 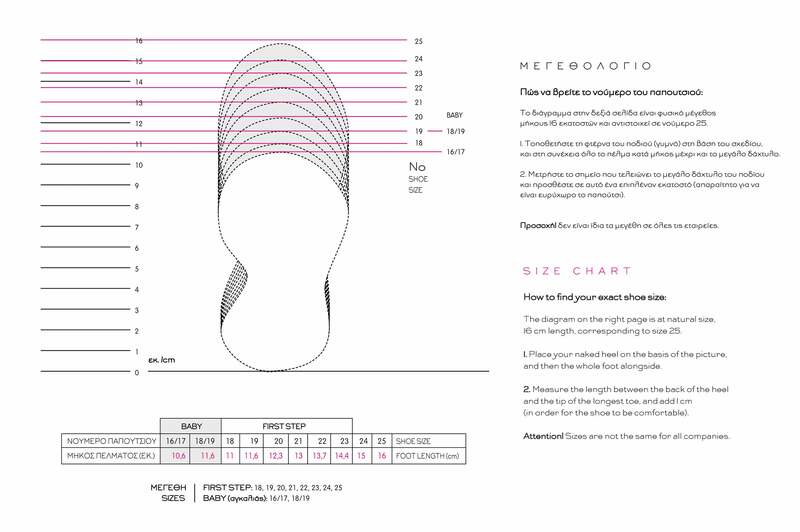 All Designer's Cat shoes are manually designed and manufactured by experienced and specialized craftsmen in Greece. They match perfectly with dresses and outfits from the DESIGNER'S CAT collections, as well as with all the baptism and casual accessories. Size: 18-25.